University Librarian Haipeng Li received the American Library Association's 2017 Equality Award. UC Merced’s Haipeng Li received the American Library Association’s 2017 Equality Award during the organization’s annual conference held in Chicago in late June. The annual honor recognizes an individual or group for outstanding contributions in promoting equality in the library profession. 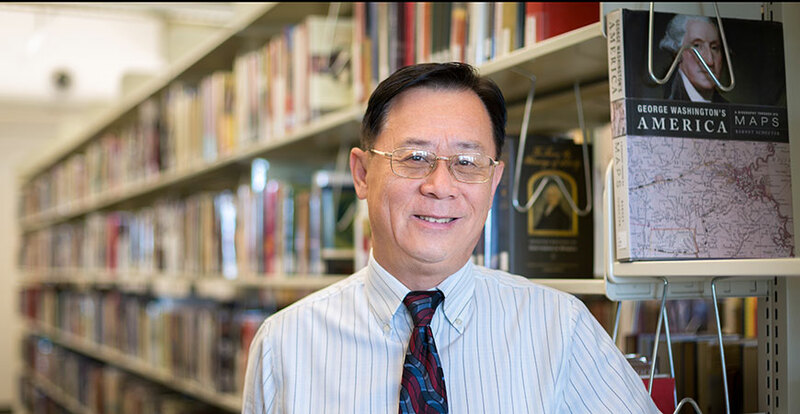 “Throughout his career, Mr. Li has championed equality within the profession, to library users and on a global level,” the 2017 Equality Award jury said. Li, whose tenure at UC Merced as university librarian began in June 2015, said he is honored to receive the ALA’s prestigious award, which comes with a framed citation of achievement and $1,000. The ALA is the world’s largest library association.